The Secret of Lies opens with Stevie (Stephanie) running from her home on the farm and her new husband; believing it's too late to turn back. Stevie's on the road and staying at a motel, when she begins to think about the past. The dreary surrounds of the motel fades away and the reader is transported to Stevie's teenage years in the mid '50s with her older sister Eleanor. Each summer Eleanor and Stevie stayed with their Aunt Smyrna and Uncle Calvin in their beach house on the coast. I enjoyed reading about Stevie's summers at the beach, particularly about the friendship developing over the years with fellow summer visitor and deaf neighbour Jake. These early chapters are carefree and take on a coming-of-age tone as Stevie and Eleanor live out what appears to be a 'normal' sisterly relationship. However; their relationship begins to drift away one summer when Eleanor is 17, and what occurs in that summer will haunt Stevie and her family for years to come. 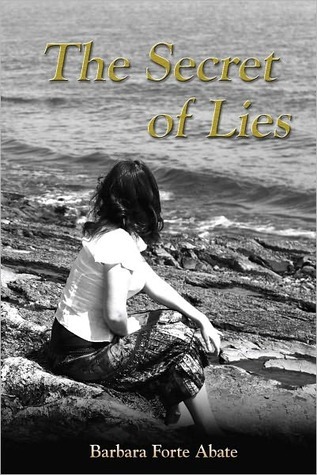 I thoroughly enjoyed The Secret of Lies, and towards the end, had completely forgotten that Stevie had run away and that this was a flashback; so immersed was I in the story. The circumstances of the 'event' (no spoilers here) and the lies that resulted - from which the novel takes it's title - were well written. There was a small mystery going on in the novel, and although I did figure it out (this never happens to me, so I was pretty pleased) there is a slightly ambiguous ending, which is appropriate. My only criticism of the writing was the author's misuse of the word 'then' in place of 'than'. It occurred on almost every page and should have been corrected at the edit stage. Although Stevie's mother was a minor character, she was a strong and hard-working woman and I admired her fortitude and resilience. Aunt Smyrna was a significant character in the novel and her gradual decline in the first half of the book was difficult. When juxtaposed with Eleanor's character - youthful, beautiful, falling in love - it made for quite a clash and interesting reading. I certainly admire the author's ability to write strong, individual characters; each with their own complexities. This was the story of a family torn apart by lies in a time where secrets were better kept hidden. But it is also the story of how Stevie navigates her way through the grief to find love and forgiveness. I thoroughly recommend it! Click here to read my interview with the author, Barbara Forte Abate.